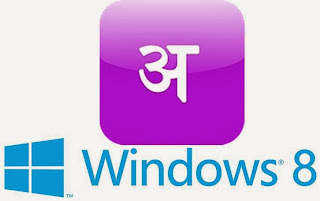 New stylish and easy readable basic hindi fonts are available in windows 8. These fonts are larger in size and attractive then previous one in windows 7. In windows 7 the basic hindi fonts were not so clear and attractive. A simple example of this can be seen in following picture. A folder name is written in hindi font. In windows 7 mangal Unicode font is used that is an average font. Recently Google introduced their Hindi web fonts for android platform. This is quite good font and so Microsoft has to introduce their own. The name here written is दो पक्ष - कृष्ण पक्ष एवं शुक्ल पक्ष but not showing so clear, crips and font size too less to maintain attention and interest of reader. This drawback is eliminated in window 8 and provided more stylish and attractive hindi fonts. This will help those people who work daily in hindi fonts. A huge collection of attractive fonts is available for window platform based computer systems. Just get them and install on your PC. Steps for downloading and installing fonts. 1) Click on font download link. 4)Now double click on .ttf file to install font.